Look! It's one of those Venture Bros.! Action figure of Hank Venture from the smash Adult Swim TV series. Collect him and all the retro-styled figures from Bif Bang Pow! Hank Venture finds new adventure as a marvelous, 1970s style action figure! 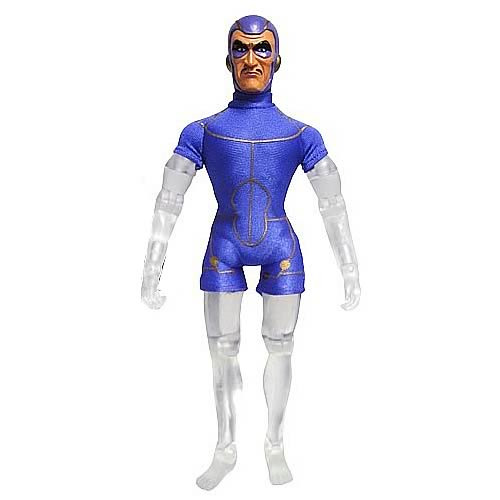 The outgoing Hank stands 8-inches tall in a fully articulated visage right out of the The Venture Bros. TV series, including authentic fabric clothing. If you're a fan of the show, you'll want to collect him and all the wonderful figures from Bif Bang Pow!